We offer hassle-free rail journeys; avail our superior Railway Ticketing Services! 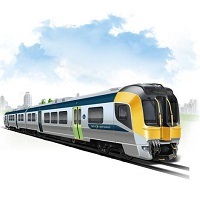 We book rail tickets and also provide complete information to client passengers related to train types, train schedules, station codes, food, accommodation etc. Our comprehensive services also include tatakal seva, ticket cancellation, berth availability etc. We keep ourselves updated with the latest schemes offered by Indian Railways and also do not delay the refund money on ticket cancellation. We are a credible travel company located in New Delhi and our service charges are very nominal.